Keep it going with these babies. Tired of your smartphone dying on you? Well, I know I am. That’s why it’s crucial to have a smartphone that will not die on you during crucial moments. Whether that moment is saving your turret on Mobile Legends or chatting the night away with your lover, here’s a list of smartphones with the best battery life. The Samsung Galaxy S8 Plus is one everlasting beast of a smartphone. With a 3500mAh battery, it will easily last a day! It lasts even longer if you use Android Doze, which is a state that keeps your phone in low-power mode by keeping apps asleep – thus, preventing them from "syphoning" your phone's battery. On top of that, the Samsung Galaxy S8 is also one of the first smartphones that support HDR. This means binge-watching videos on Youtube or TV shows on Netflix is more enjoyable as the Galaxy S8 display a wider spectrum of colour. More: Planning to Get The Samsung Galaxy S9 or S9+? Read This! Salivating over the iPhone X? Well, don’t salivate if you are looking for a long-lasting iPhone you can fiddle with – the iPhone 8 Plus is superior in that aspect. The iPhone 8 Plus comes with a 2675mAh battery. The iPhone X may have a 2716mAh battery but don’t let that fool you, the iPhone X battery can only last for 11 hours and 45 minutes while the iPhone 8 Plus can last for a staggering 13 hours and 44 minutes – a huge difference! Other than that, the iPhone 8 Plus comes furnished with the A11 Bionic Engine. The A11 Bionic Engine makes the phone feel super responsive – so you don’t have to worry about your smartphone freezing anymore. In search of the incredible, ASUS released its ASUS Zenfone 3 back in 2017. Now, in 2018, I can truly say with absolute confidence that the ASUS Zenfone 3 doesn’t disappoint! The ASUS Zenfone 3 Zoom packs a staggering 5,000 mAh battery – this battery can last you for a couple of days on a single charge! On top of the everlasting battery, the Zenfone 3 Zoom comes packed with amazing dual 12MP SONY IMX 362 rear camera which allows you to take breathtaking pictures of sceneries around you! There’s a common stereotype that things made in China will not last long, but this is not the case for the Huawei Mate 10 Pro. The Huawei Mate 10 Pro boasts a 4,000mAh battery so you can stalk your crush on Instagram longer. With its “AI-powered battery management”, the Huawei Mate 10 Pro can personalize battery management based on your personal habits. It lets you check off a multitude of suggestions for conserving energy including limiting auto-syncing and many more! So what else do you get for the price of RM 2,880? An elegant glass and metal design that is pleasantly smooth to the touch; so smooth you may as well be touching silk. Show off the grand design of this smartphone and be the envy of your friends. Another product which proves that things from China aren’t so bad after all! Introducing the Oppo R11 – a smartphone that comes equipped with a 3,000mAh battery. The battery life of the Oppo R11 can last for 14 hours and 45 minutes on average, with heavy social media usage. If you are a light user, the battery can last you for a day or two, but don’t let that stop you from connecting with your followers on Snapchat or Instagram. It incorporates fast-charging too – in fact, you can go from 0% to 70% in half an hour, so you can get right back to Instagramming your food in a jiffy! The Oppo R11 also comes with a 20MP with f/2.0 aperture front camera so you can take the perfect selfie and be crowned as the next Kardashian on Instagram! Do not underestimate the Lenovo P2 – it includes a 5100mAh battery in its arsenal. 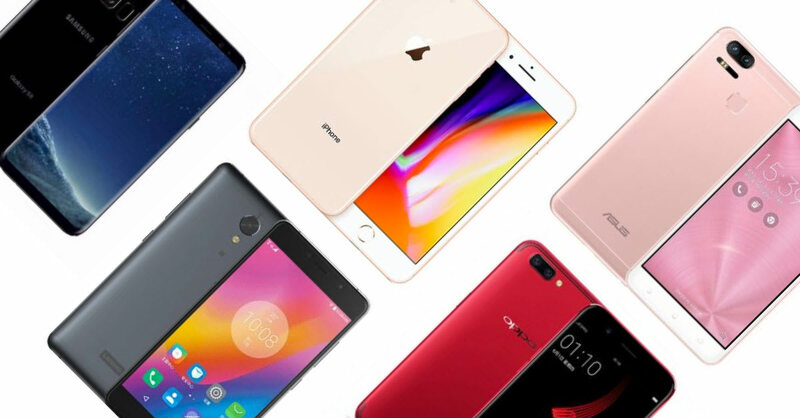 To add insult to its competitors, the Lenovo P2’s battery can last for 3 days on a single charge and this can be the pride of any Lenovo P2 owner. Its battery can provide 10 hours of on-screen time with just 15 minutes of charging. Your reaction to this phone might as well be “OMG!” at this point. On top of that, you can also use the battery as a power bank. So what else do you get when you buy this smartphone? You’ll get a 5MP front camera and 13MP rear camera to take awesome pictures of both you and your surroundings! The Lenovo P2 is truly an underrated smartphone. From the makers of the Nokia 3310, comes the Nokia 8. It’s the return of Nokia with this flagship. It has a 3090mAh battery which incorporates Quick Charge 3.0 via USB Type-C. It can last surprisingly long – 18 hours or so on average. On top of that, Nokia has also incorporated a revolutionary liquid cooling system on its phone to ensure that the phone would never overheat. Give the Nokia 8 a try, I’m sure you’ll love it!